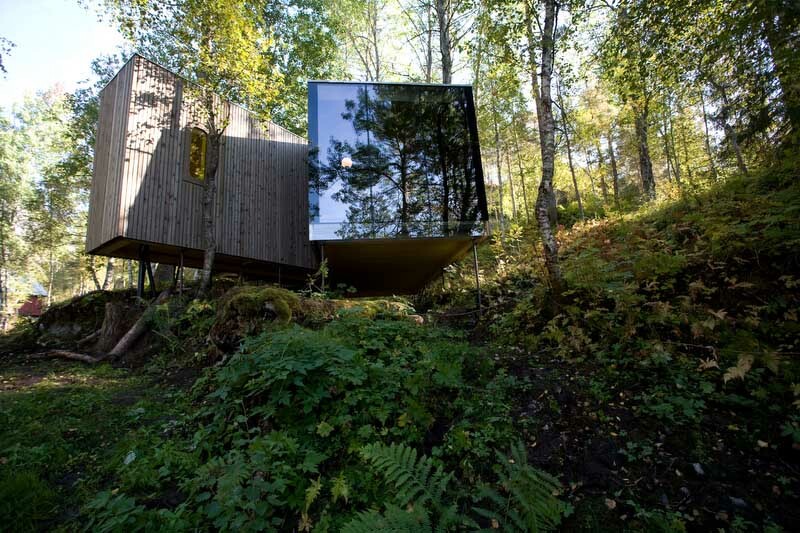 We’ve selected what we feel are the key examples of Norwegian Architecture. 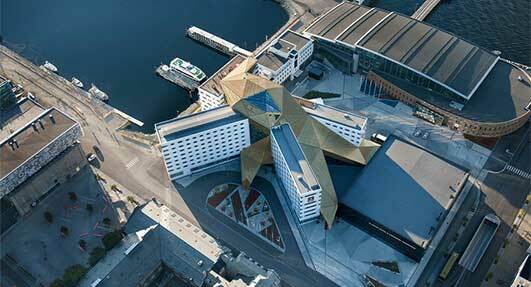 We cover completed buildings, new building designs and architecture competitions across Norway. 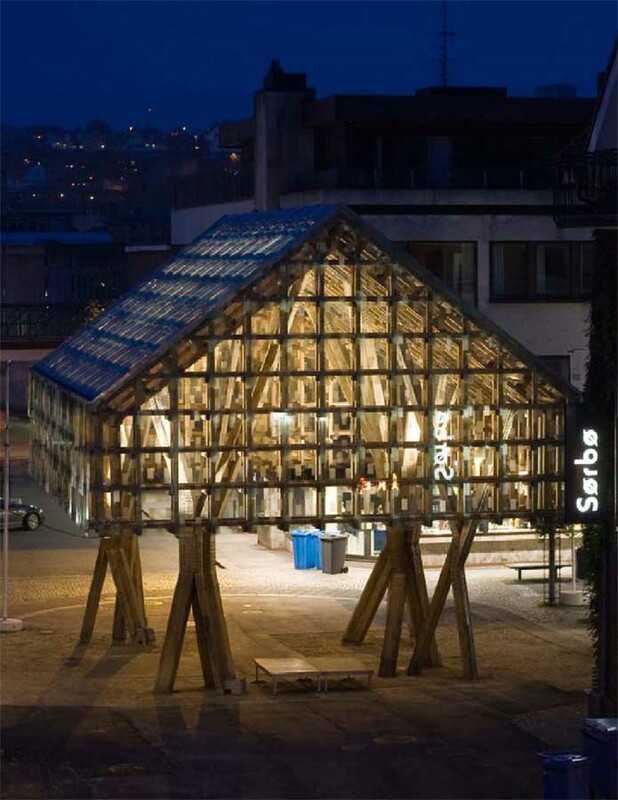 The focus is on contemporary Norwegian buildings but information on traditional Nordic buildings is also welcome. 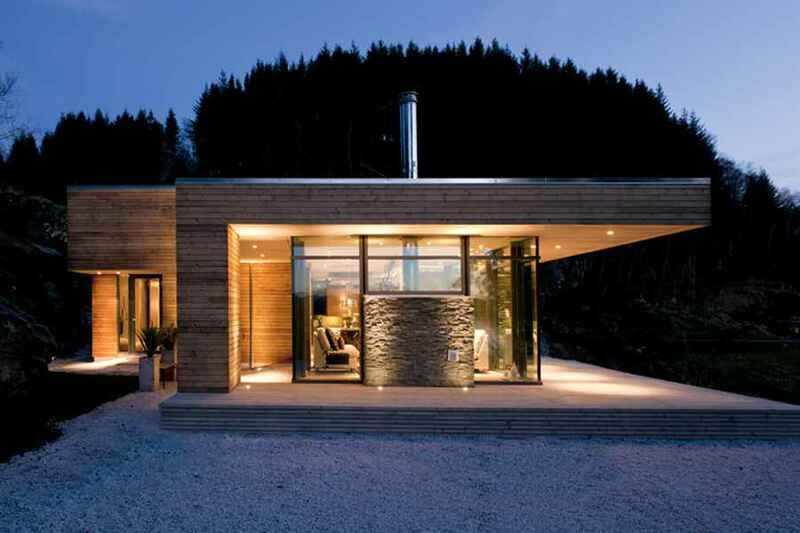 We have 5 pages of Norwegian Architecture selections. 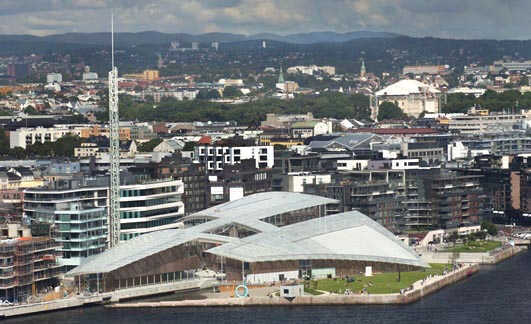 Oslo is the capital of Norway and is located in the south of the country. 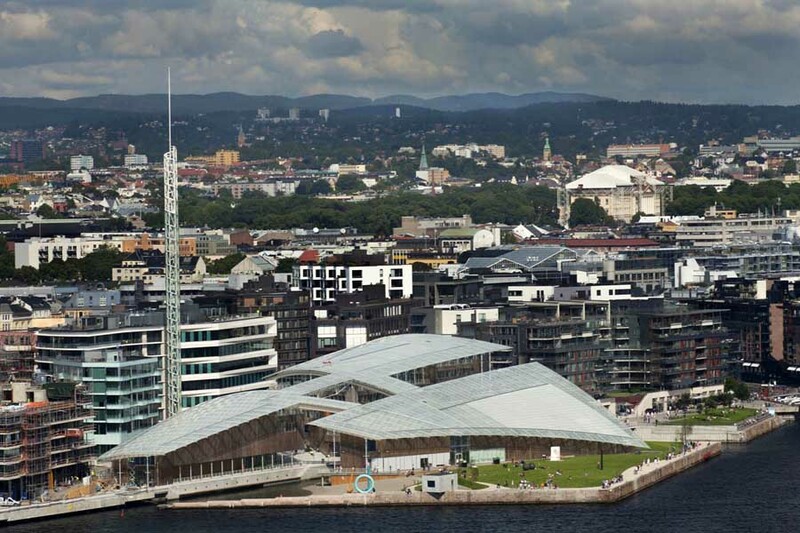 Probably the most celebrated contemporary Norwegian building is the Oslo Operahouse. 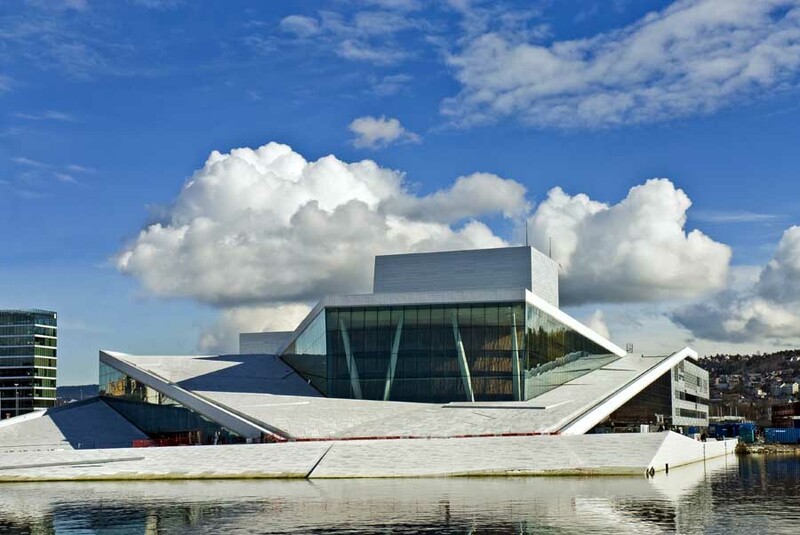 Other major architecture in Oslo includes the Norwegian Museum of Architecture, the The munch museum and stenersen museum collections and the Bislett Stadium building. 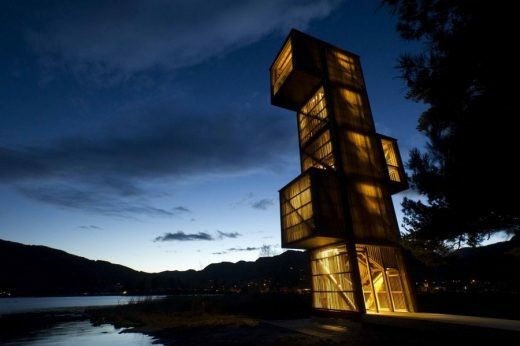 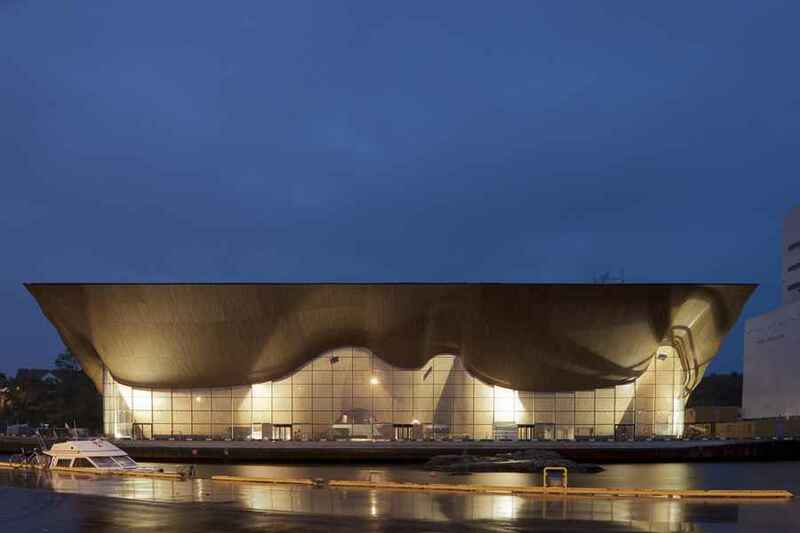 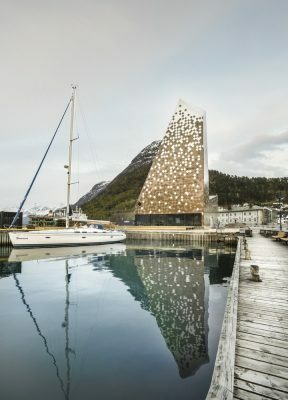 “Norwegian Architecture is unique, sought after and innovative. 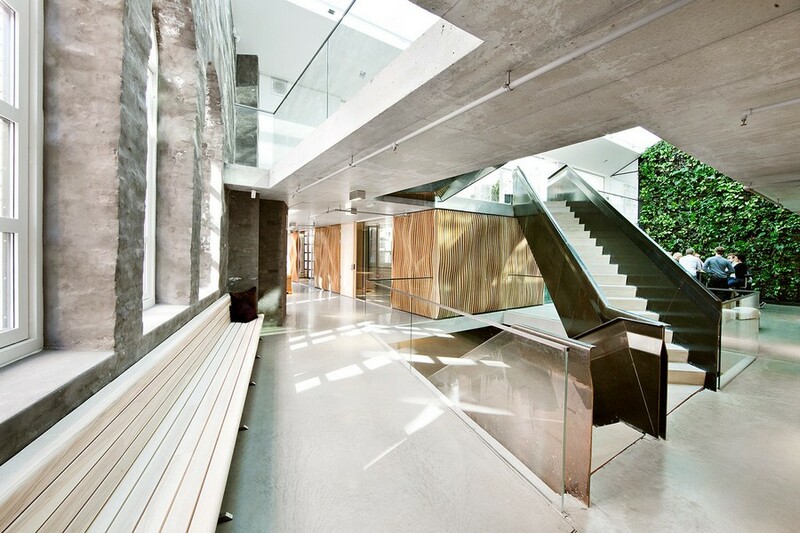 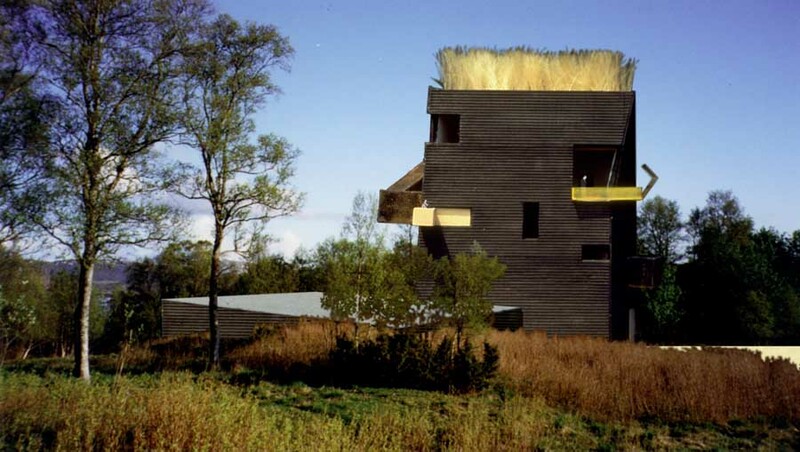 Norwegian Architects are renowned to use sustainable materials and provide means that are both social and aesthetic. 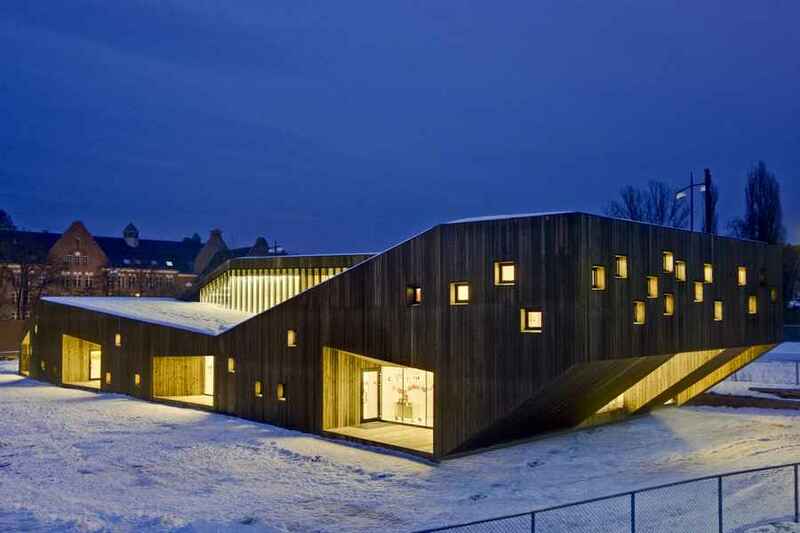 This program enables more people to get their eyes on Norwegian architecture,“ Tor Inge Hjemdal, Director of Architecture in DOGA, the Norwegian Association for Design and Architecture. 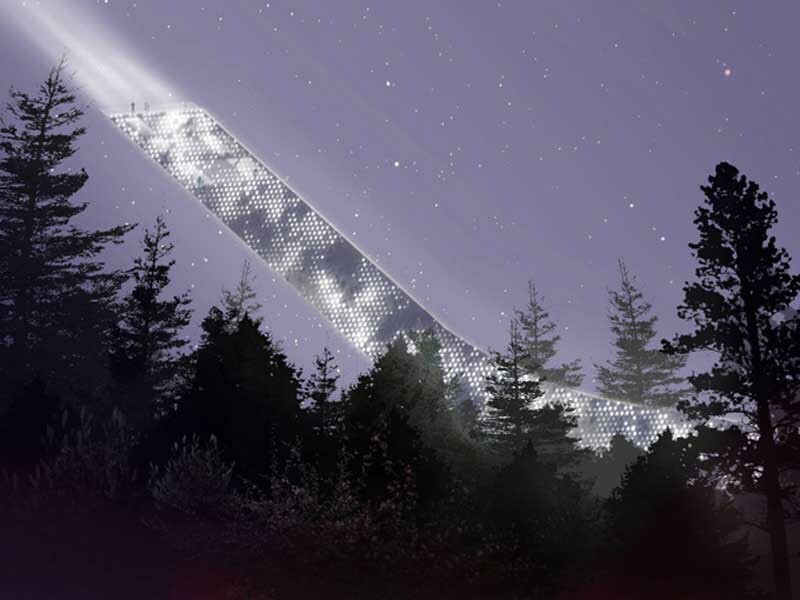 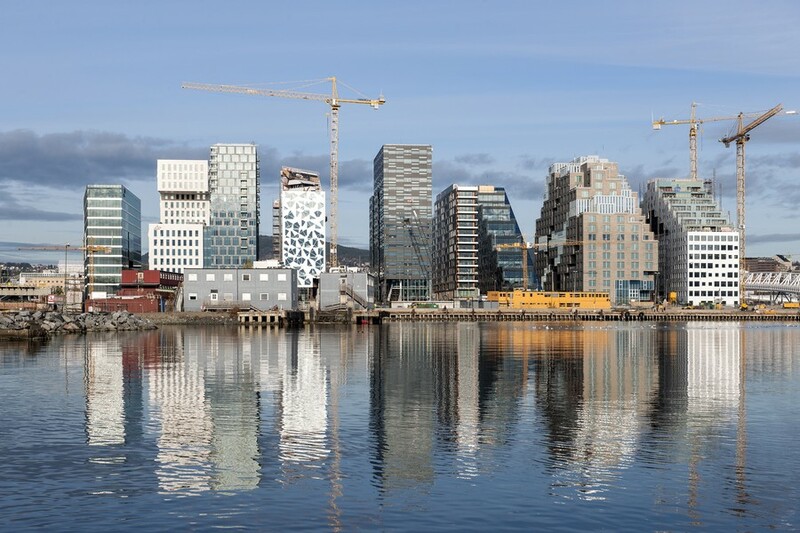 Seven Norwegian companies selected to participate in a public pilot project that aims to export Norwegian architecture across national borders. 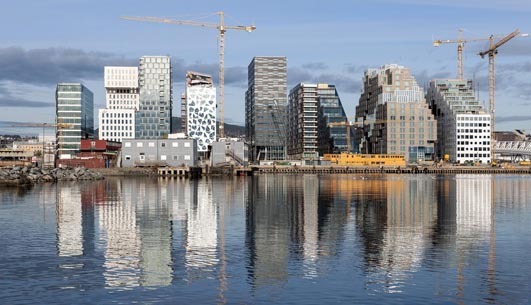 Through its funding, the program will strengthen the international competitiveness of the Norwegian architectural industry and contribute to increased exports. 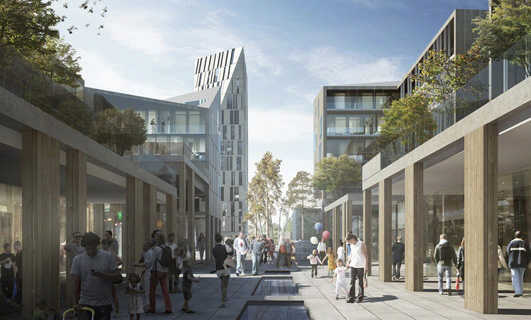 This new Norwegian building will be situated near the Central Station on a site next to the future “Tivoliparken” which will be an inviting green city park for pedestrians, providing new lines of connections in the surrounding neighbourhood and to the city. Refurbishment of the former industrial building designed by architects Ove Ekman and Einar Smith and completed 1899. 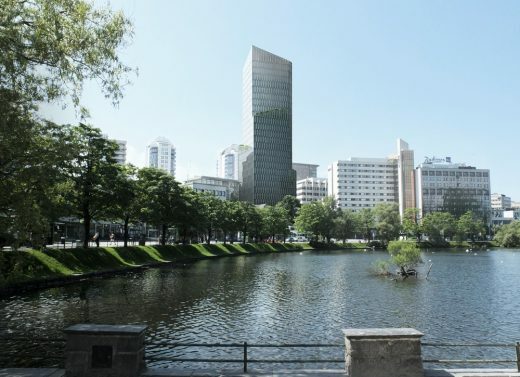 This area along the Akers River was historically referred to as Ny York (New York) due to its explosive development in 1858. 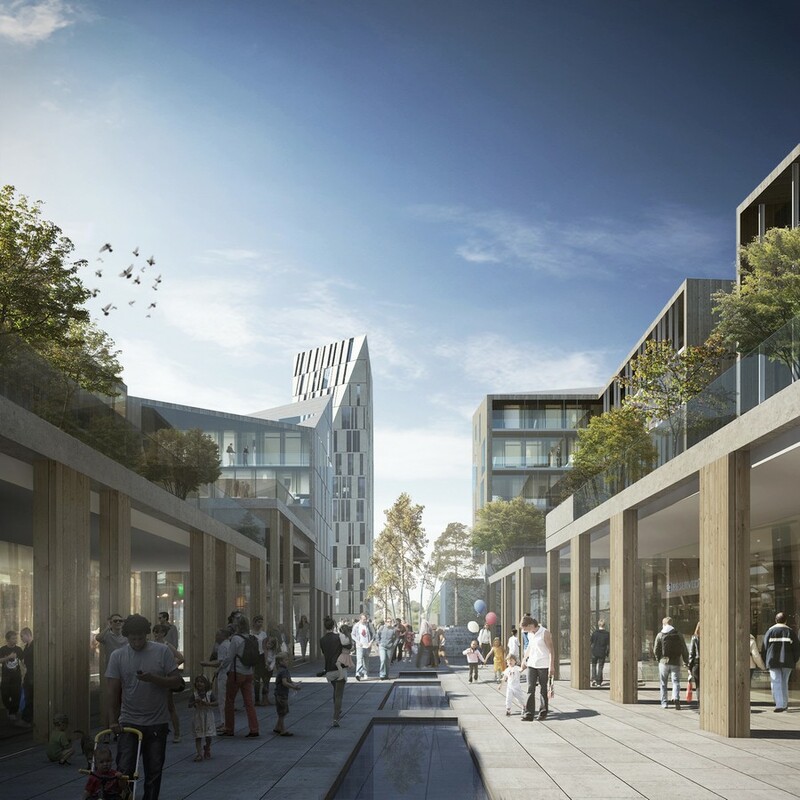 Today the area reflects a transformation towards a district focused on art, architecture and design. 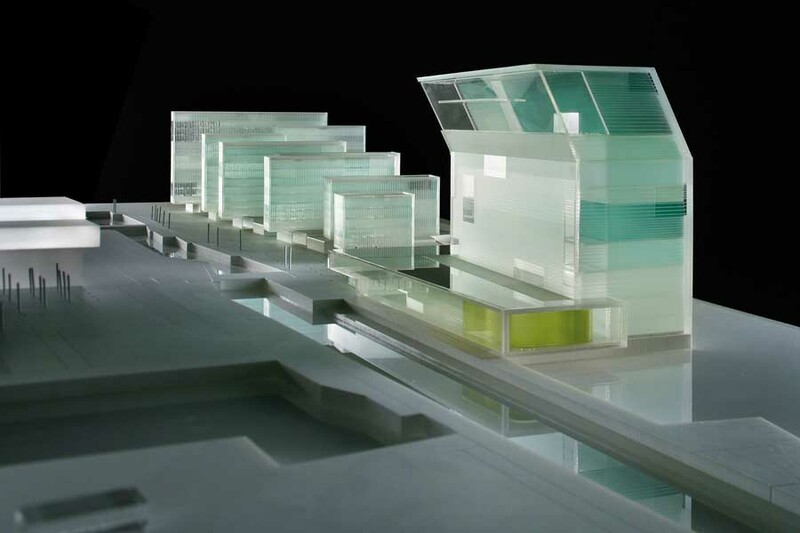 Unlike the classical American and Asian hotel atrium where everything is exposed in a centralized and vertical, magnificent but one-dimensional experience under a glass cover – the lobby is here given a 3-dimensional and dynamic spatial experience with a programmed roof, and a sequence of shifts between glimpse and panorama, intimacy and spectacular exposure. The hotel bears references to the local city fabric of Trondheim in the combination between the large structural lines and the small intimate ‘ally’. 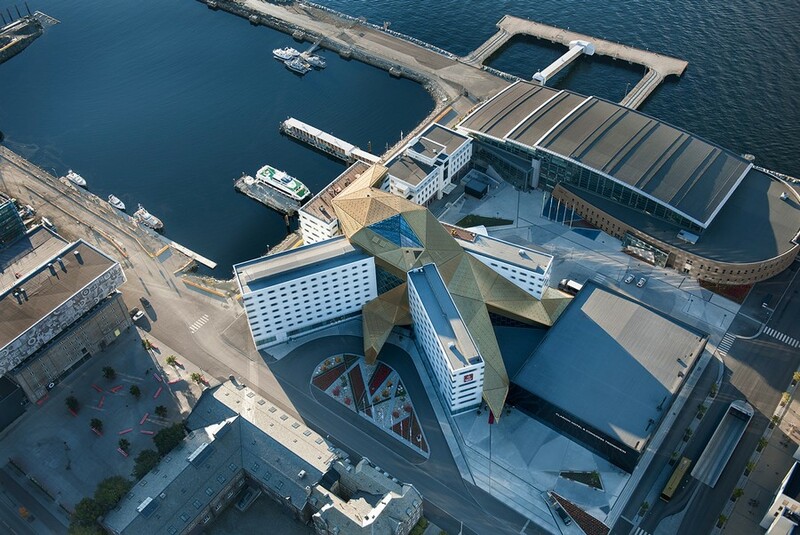 The hotel becomes a landmark without front or backside – but oriented towards the city and the fjord for optimal views in all directions. 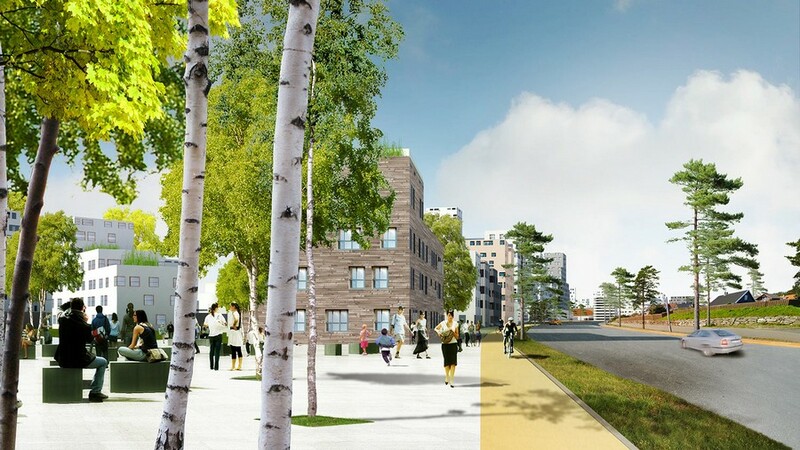 London and Oslo based Haptic Architects and NORDIC – Office of Architecture, in collaboration with Gross.Max Landscape architects, have won the competition to create a new urban centre and a public square in Straume. 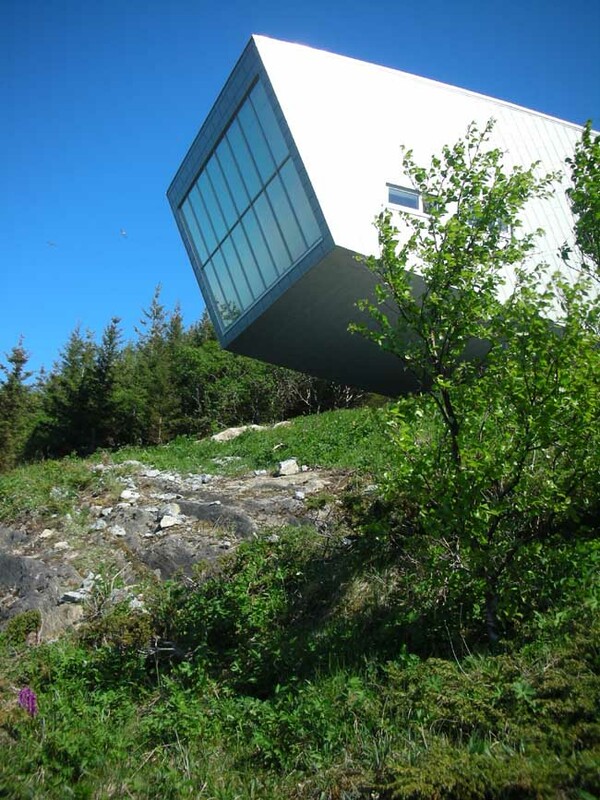 Straume, in the municipality of Fjell, is located on the west coast of Norway, near Bergen. 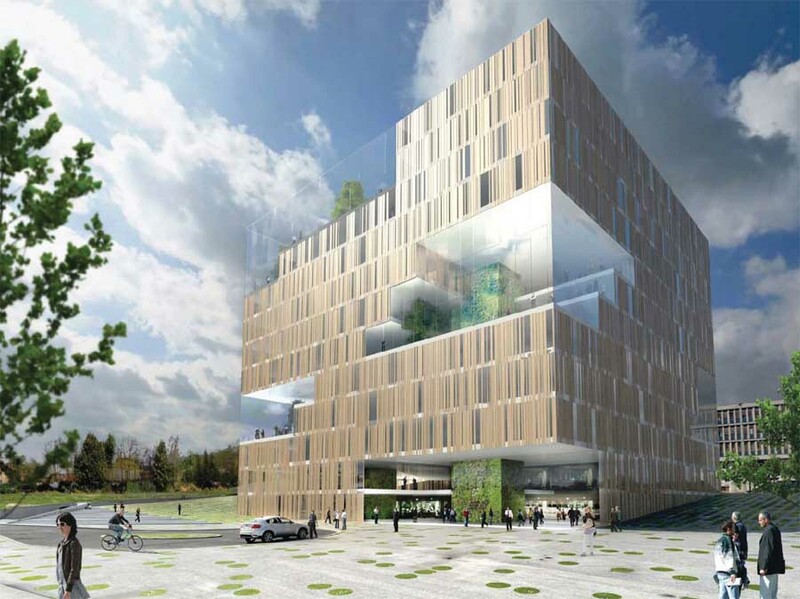 This architectural competition was commissioned by Sartor Holding. 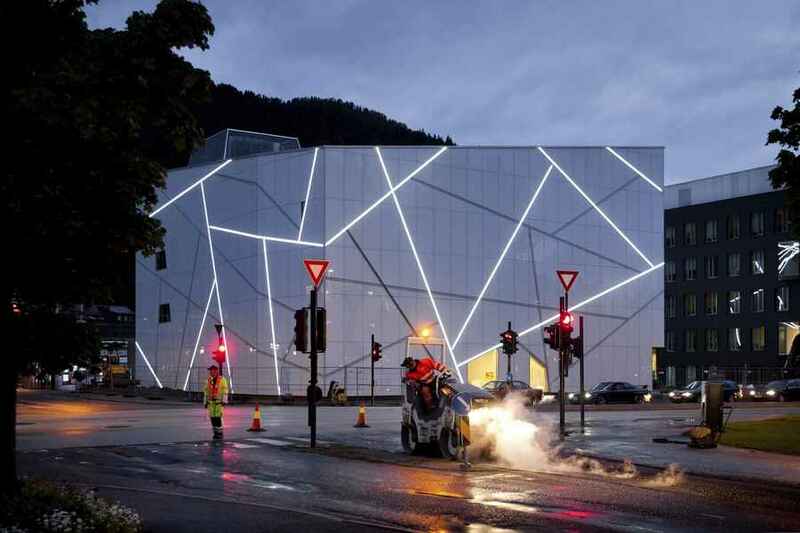 The Astrup Fearnley Museum of Contemporary Art is to reopen on 29 September in Tjuvholmen, the newest arts district of Oslo. 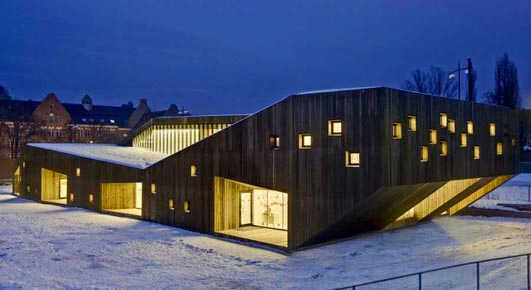 Previously located at Dronningensgtate 4 for 18 years, the privately owned museum is now part of the new Icon Complex, developed by Selvaag Gruppen and Aspelin-Ramm Gruppen, and designed by Renzo Piano Building Workshop in collaboration with Narud Stokke Wiig architects. 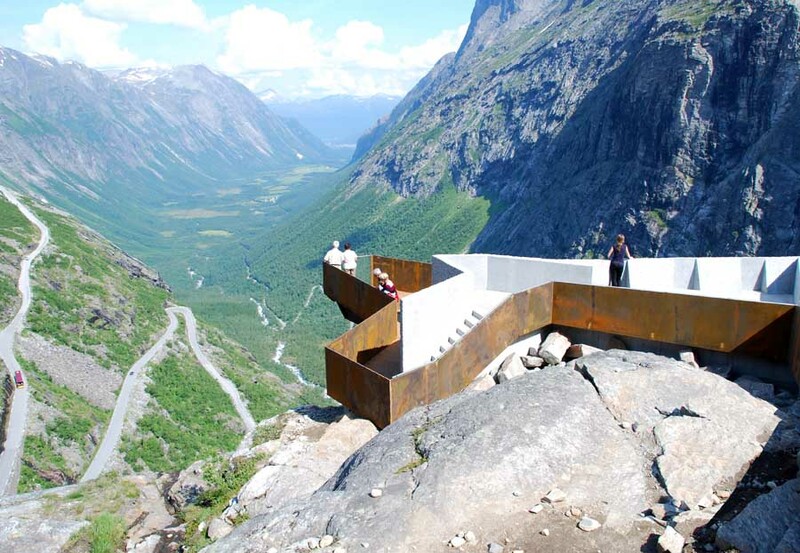 The small Norwegian town of Førde draws its qualities from its interaction with the surrounding mountains, which are visible everywhere, and from Jostedalsbreen, the largest glacier on the European mainland, which lies in close proximity to the town. 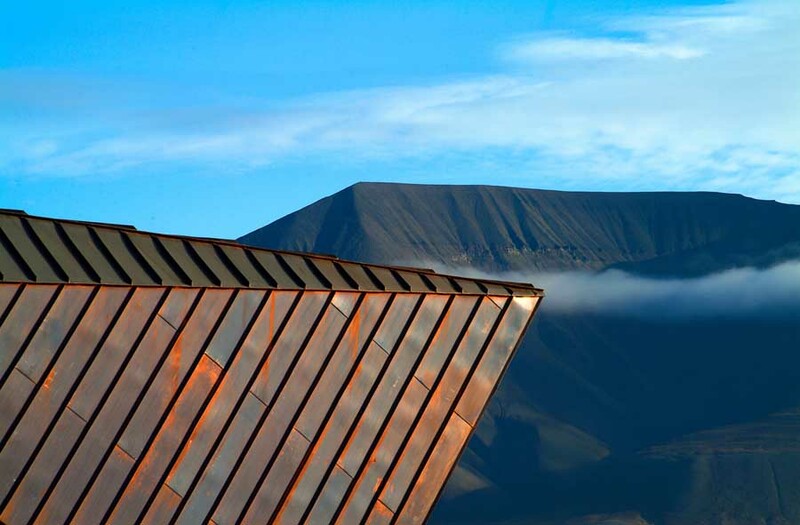 The town’s new museum, Sogn & Fjordane Kunstmuseum also draws upon the distinctive landscape for its architectural expression: the museum lies like a crystal-clear block of ice that has slid down from the surrounding mountains. 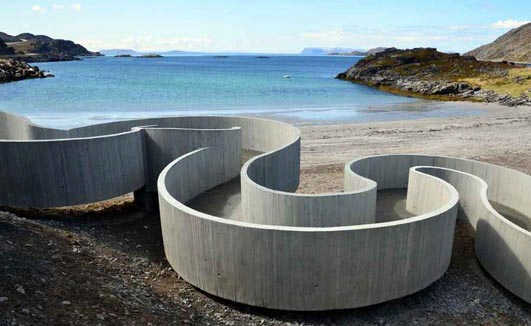 Historic white wooden houses, charming narrow streets, a river running though the center and beach and forest nearby. 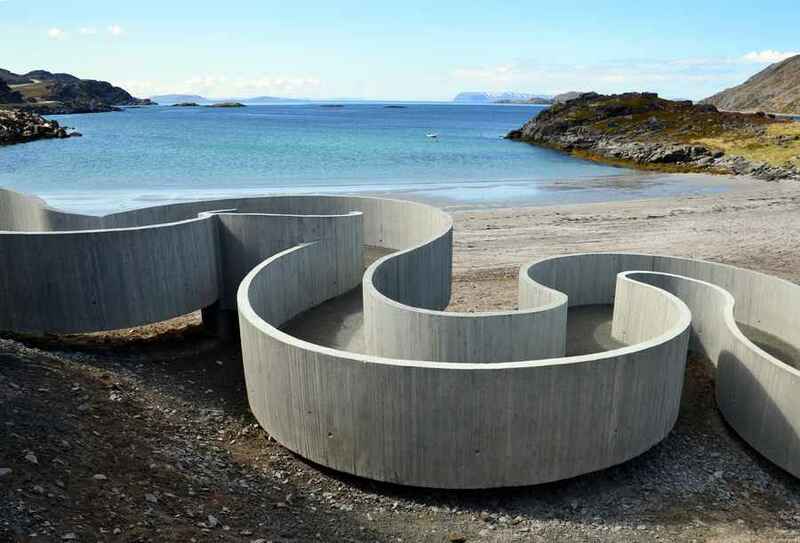 The town of Mandal is the essence of southern Norwegian idyll. 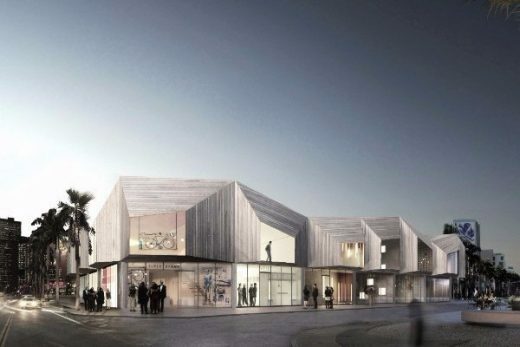 Danish practice, 3XN, has designed the town’s new cultural center, a project which required great sensitivity to the town’s special environment. 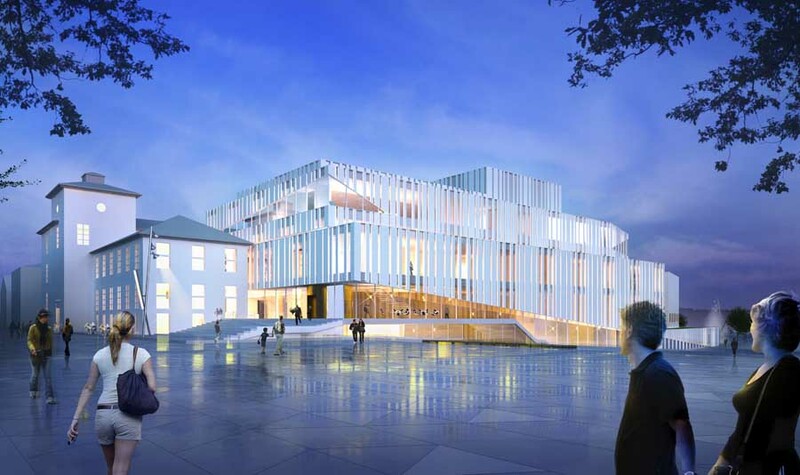 Kilden, a theatre and concert hall building in Kristiansand, Norway, has brought together all the city’s institutions of performing arts. 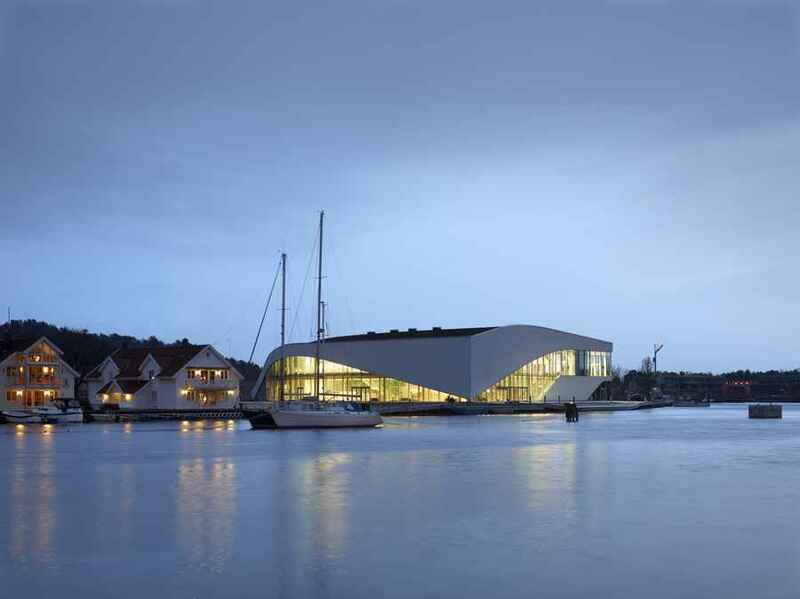 Kristiansand Symphony Orchestra now has a concert hall accommodating 1200 attendees. 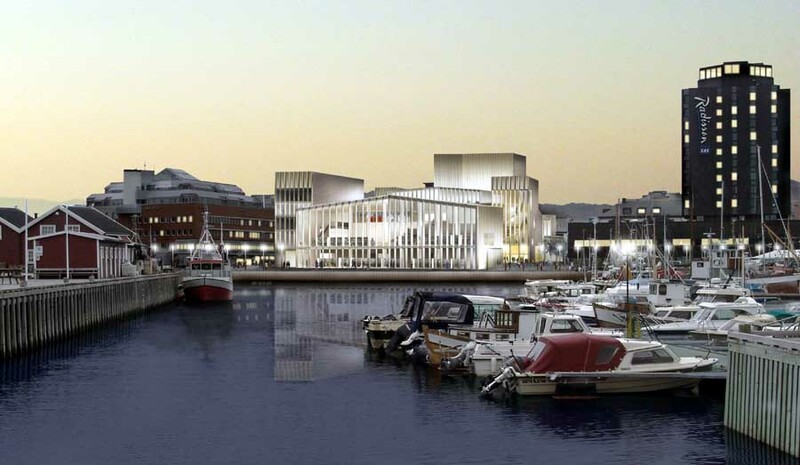 Agder Theater, a regional group, is performing in a theater with a capacity of 700. 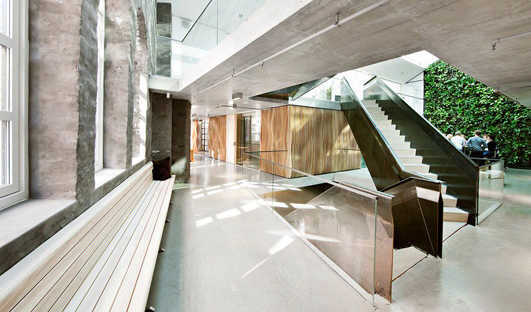 The theater hall can be transformed to accommodate opera performances to house the ensemble Opera South.